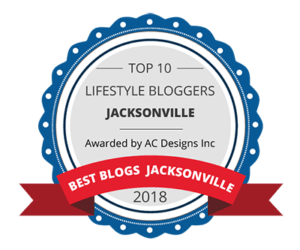 There is nothing that makes me feel more feminine and classy than a beautiful skirt (see here) so when I was contacted by eShakti to review one of their clothing items, I happily obliged! eShakti is the only online women’s fashion apparel company offering size 0-36W and custom clothing. This was good to know because I am always pretty wary about ordering clothes online for a fear of it not fitting right. I am not into having to send things back. I ordered one size up based on the sizing chart provided on their website and the fit is lovely! With that being said, I am happy with my order! 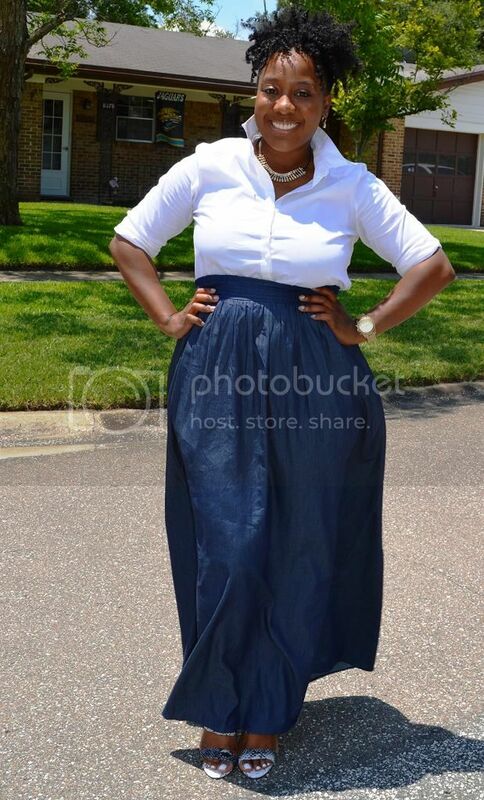 When I saw this ankle length chambray skirt, I immediately fell in love and knew I wanted it! The way I styled it today was exactly how I saw it in my mind when I saw the skirt online. With a crisp white shirt, collar popped, and statement necklace. Do you guys do that too? the skirt by making it shorter and removing the pockets but I thought it was perfect the way it was. I liked having the option though! flat sandals during the summer for a more casual look! You’ve gotta twirl when you’re wearing a long flowy skirt! 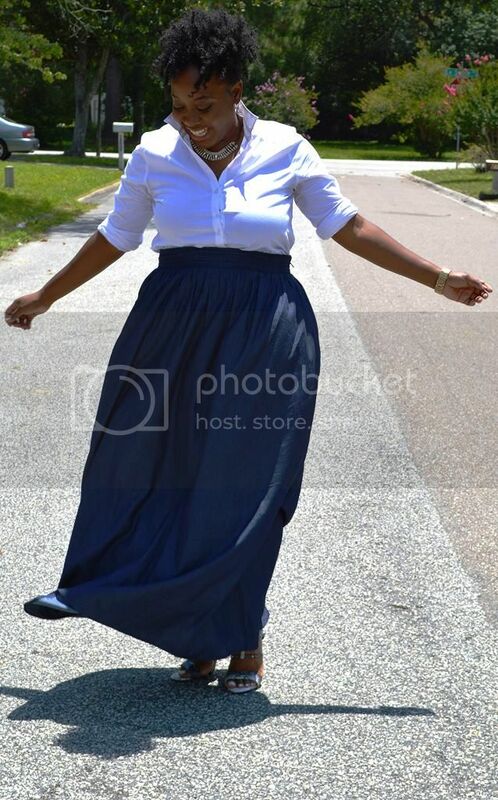 In the words of Kenya Moore, I was feeling “gone with the wind fabulous” in my skirt LOL! I am definitely going to be ordering more clothes from eShakti! Please check them out! If you find something you like, you can get 10% OFF for being a reader of my blog! Can’t beat a discount! 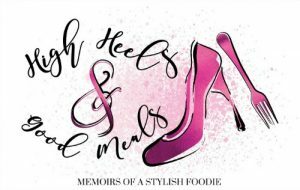 Just enter ‘fashheels’ in the promotional code box as many times as you’d like between now and July 26, 2014 to enjoy your 10% off! As always thank you for stopping by! 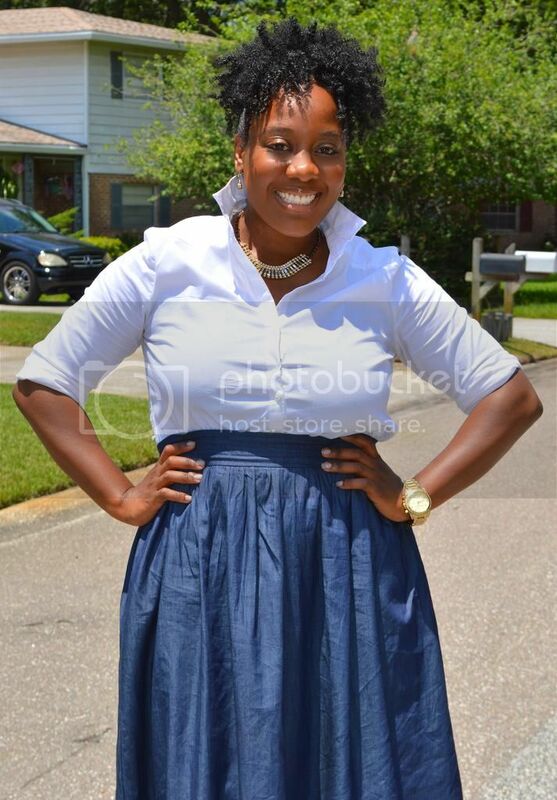 This skirt was c/o eShakti but the opinions were definitely my own! Take care dolls! Previous Post Ladies Day Off, Jacksonville!!! Love that it has pockets. You wear the skirt well. That skirt is gorgeous! You look so cute! 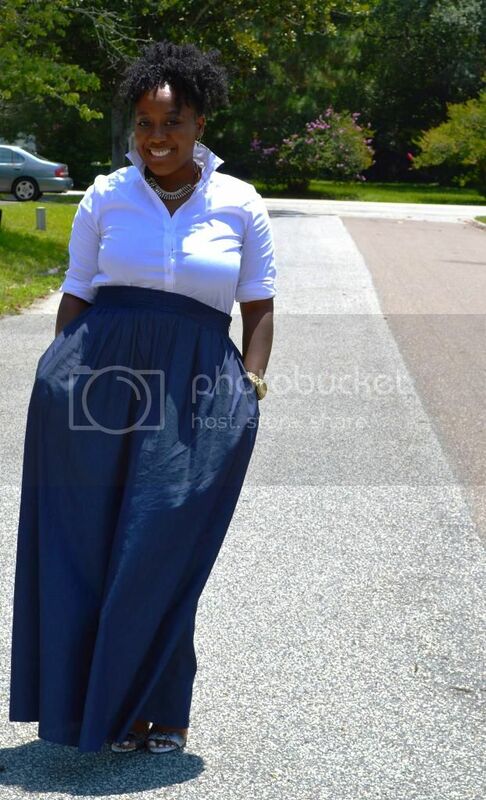 Never would have thought chambray could work as a maxi skirt. I'm appreciating the fit and length. And, of course, how you styled the skirt. Love this look doll. 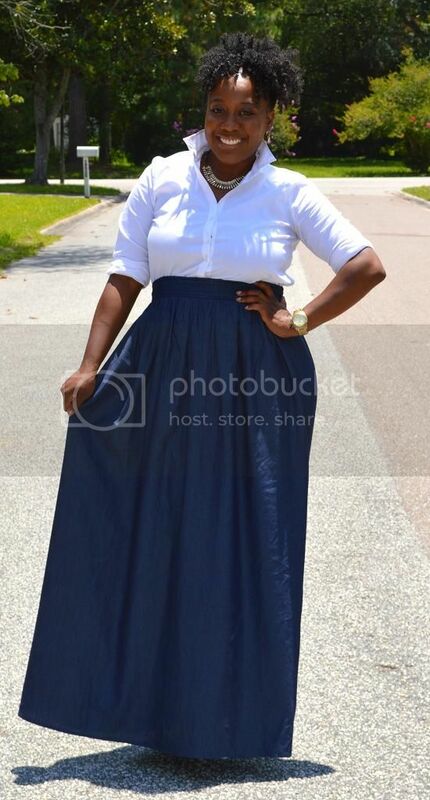 You can't go wrong with a fab maxi skirt and white button down. Elegance at its best.